In a world where many have grown cold to others, we have the duty and responsibility to bring the warmth of God’s love to His people. 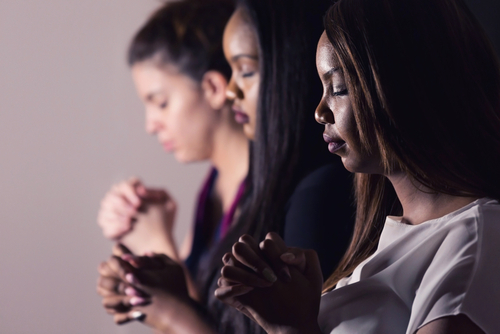 As women of Christ, we have the favor of being united with His Spirit. We have the capacity to show kindness and compassion to people who need our aid and attention. We have words in our mouths that can bring healing and encouragement to the weak and the broken. Every day, we are given the choice to humble ourselves before God and others and carry out His word. In the Bible, there are notable women who have shown incredible faith and exemplary deeds that contribute to God’s divine plan. Just like Sarah, Esther, Ruth, etc., we are also capable of great words and deeds that bear fruit. Now, are you willing to walk as a woman of God? In all things, we are called to bear with one another in love. Even though we may have differences with others from a different race, religion, culture or upbringing, we all belong to one family in Christ Jesus. God continues to call us to live in unity. When differences continue to divide us, let us strive to seek our similarities. God is our common ground! He is our Creator, our Almighty Father in heaven. To Him we owe our lives, all that we have, and all that we are yet to receive. We are called to have unity and maturity in the Body of Christ. We must learn to accept one another just as Jesus Christ has taught us in the Bible. At times when our peace and understanding is threatened, we must remember what God has told us. Seek God in your heart and join me walk with other women of Christ. He is our common ground. Let us speak up as women of Christ for peace, justice and righteousness for others.